Sherry began painting in 1971 and shortly thereafter began photographing to acquire ideas and references. At that time her subjects were all inclusive and she painted in a variety of mediums. 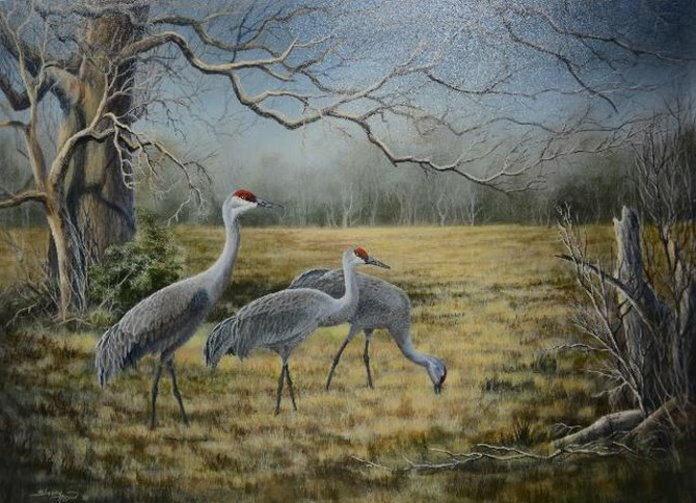 Today she uses the acrylic medium in an oil painter style and her favorite subjects capture the beauty of the natural world, often with its appropriate wildlife. Approximately eighty-five percent of the time she spends on her artwork is in the form of exploration, discovery, and research. Her objective is to create imaginative innovative authentic paintings. She schedules her photography to capture her subjects at the peak of their beauty. She knows the correct time of year to find the most beautiful birds and animals and then looks for healthy mature animals, with the right genetics. To add authenticity to her artwork she occasionally adds immature birds to a group. Sherry lived most of her life in Lake Charles, Louisiana. She and her husband moved to Spring, Texas, in 2005. 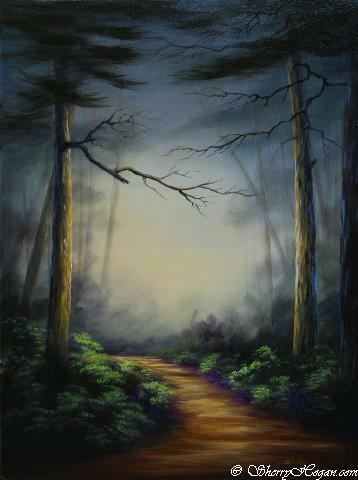 Most of her paintings and her greatest artistic influence is the natural world within a hundred mile radius of her home. She loves living near the Gulf Coast. The coastal agricultural fields, marshes, moss laden oaks and moss laden cypress swamps are her favorite places to paint and to photograph. These areas contain a bountiful amount of animal life, especially birds, and are a source of excitement, solace and inspiration to her. Click here to shop for Sherry's landscapes or here for her animals.